The iconic bassist speaks about the making of Entre Colegas, his first as a leader. TRR: Who did you choose for Entre Colegas and why? Andy Gonzalez: I was working a lot with timbalero Ricky Salas. He’s a great singer and the nephew of Victor Paz. Cuatro player Orlando Santiago aka Mostro got in touch with my brother Jerry via Facebook. Also, a friend took us to Detroit, brought Mostro and introduced me to him. He said, “Listen to this guy play the cuatro and tell me who he is. ” I replied, “Oh my God, who the hell is this guy? That’s not Yomo Toro.” I didn’t know who it was, but I knew it was someone on that level, of that caliber. Afterward, Mostro and I talked, and he paid me a visit. He’s a great musician. What are your expectations for Entre Colegas? One inspiration was Orlando Santiago aka El Mostro de Coamo, a virtuoso on the cuatro. It was exciting to use him on the record. Tell me about the Fort Apache band, Libre, and Grupo Folklorico Experimental Nuevayorquino? Everything we like about music is in that music, folkloric, experimental and modern. What made the groups groundbreaking, unique? They were a real expression of who we are. Jerry got a recording deal with Ya Yo Me Cure (1995); it was a breakthrough. The music is a manifestation of everything that we were doing at the time. Also, Fort Apache came out of that. Also, at the time, Jerry was going to college with people like Kenny Dorham and meeting all these great musicians, and I was hanging out with (bassist) Charlie Haden among others, a lot of things were happening. In a previous conversation, you mentioned the importance (influence) of Cal Tjader’s band. The Cal Tjader band close to the end of 1957- 1959 was an exciting group. They had Willie Bobo, Mongo, and Cal on vibes. It was close to the Milt Jackson sound, and the piano player was Vince Guaraldi. He loved Cuban Music, Peruchin, and cats like that. For just five guys they created a lot of good sounds. Did u have a particular “vision” for Entre Colegas? I don’t see it as a vision as much as I see it as a different sound, one that I’m usually not associated with. This is just something I haven’t had a chance to do. It happened when you guys asked me to make a record, and I thought to myself, “Let’s see what I can come up with.” It’s a different way of approaching the melodic influences. I should mention that “Mostro” was a big factor in this. His playing made me think of new ways to adapt to his style. How do you describe the style? 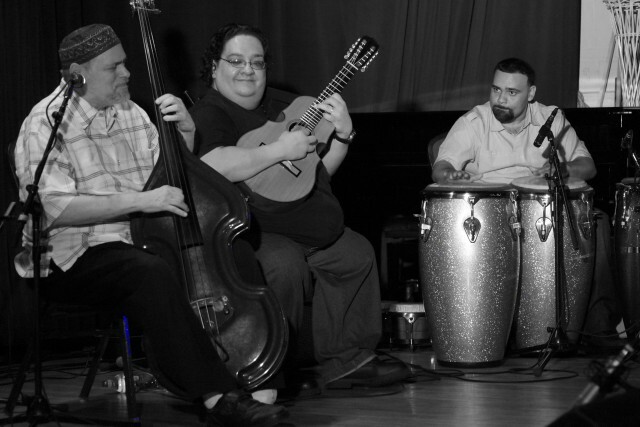 It’s Cuban and Puerto Rican music with the focus on guitars and strings and a departure from brass. Let’s go through some of the tracks. Addams Family – I used to practice the theme from the Addams Family melody on bass. When it came time to do a duet with Luques, we did it right there. 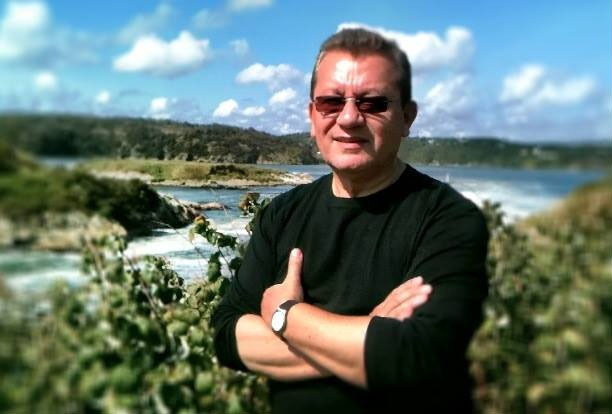 Inspiracion Cachao – I knew Israel Cachao Lopez for a few years. He was a good friend. I used to lend him my bass time to time. Misty – Ben Lapidus and Manny came up with the treatment for Misty, by pianist Errol Garner with Spanish lyrics by, Manny. What makes it special is Carlos Abadie. He’s such an incredible trumpet player. Sabor A Mi – The tune has a long history. It’s a Mexican bolero recorded by many artists, including Libre. Vieques – I started playing that with Arturo O’ Farrill and Dafnis Prieto. The tune was recorded live at a gig at a Brooklyn jazz cafe (Arturo O’ Farrill – Live in Brooklyn, 2005). I was fooling around with the bass line and the melody, and I decided to create a more structured tune. Ode To Joy – Inspired by the Whoopi Goldberg movie Sister Act 2. When I discovered the arrangement was by George Duke, I started listening more and more, and I pulled out the changes. The Blues – I said to Ben (Lapidus), “Let’s play the blues.” He asked me what I wanted to call it, and I came up with the title, Dialysis Blues. And … Billy Strayhorn’s A Flower is a Lovesome Thing and Conversando Conversa featuring Nelson Gonzalez. Tell me about your musical training. Everything has roots. What we were thinking about and what we were doing was Cuban and Puerto Rican based. Studying music at Rene Lopez’s house was a huge part of our education. Also, Jerry and I went to Music and Arts High School. In a previous conversation, you mentioned a talent show that took place when you and Jerry were students at the Music and Arts High School. Yes, at Clinton High School. Jerry and I had a big band, and Willie Colon had a big band. They were horrible! Lots of good musicians connected through the Music and Arts High School. You were the Musical Director for Libre (aka Conjunto Libre, Manny Oquendo, and Libre). My role was the overall musical director, in terms of counting off numbers, giving cues, booking gigs, getting paid for gigs and paying off everybody. Financial manager-type stuff. Manny chose the repertoire. There’s no secret to it. When the moment comes, and you know what you want, go for it.